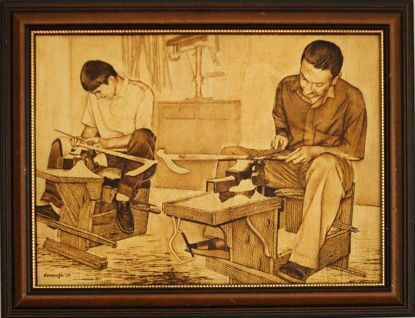 Wood Burning Art - "Craftsmen Making Walking Sticks". An Original Artwork of Pyrography for You. 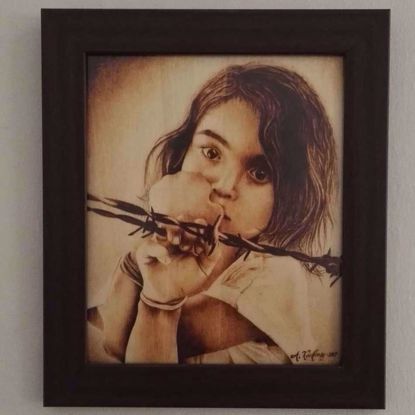 Wood Burning Art - "Innocence". An Original Artwork of Pyrography for You. 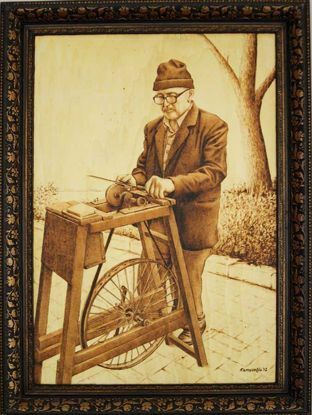 Wood Burning Art - "Knife Grinder". An Original Artwork of Pyrography for You. 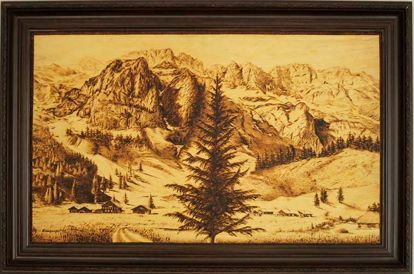 Wood Burning Art - "Landscape of Mountains". An Original Artwork of Pyrography for You. 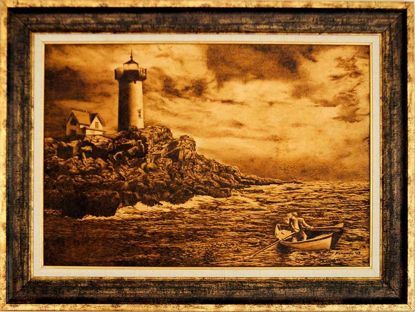 Wood Burning Art - "Lighthouse". An Original Artwork of Pyrography for You. Wood Burning Art - "My Name is Syria". An Original Artwork of Pyrography for You. 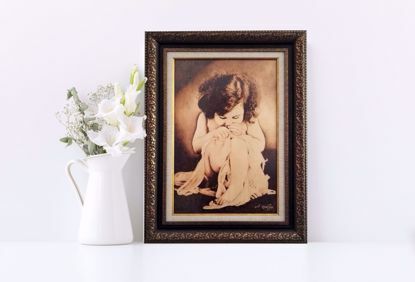 Wood Burning Art or Pyrography is an art; painting or ornamenting wood or some other materials by making burn marks with the help of a heated metal pen. It is also known as pokerwork.